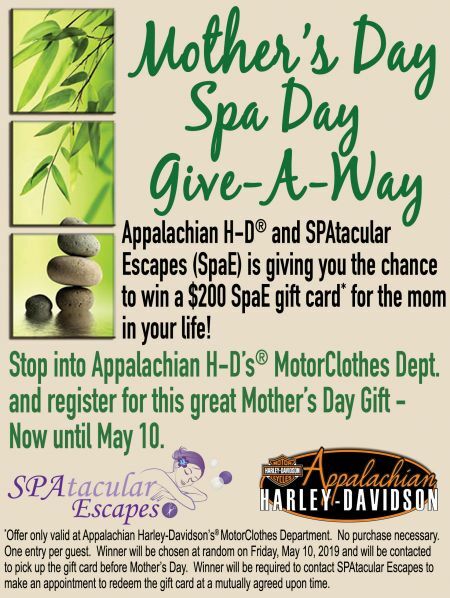 Mother's Day Spa Day Give-A-Way! 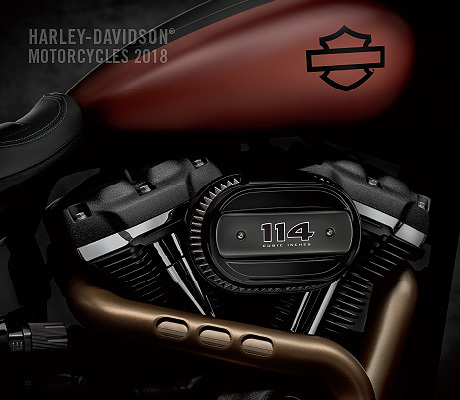 The Great Helmet Exchange - April Only! 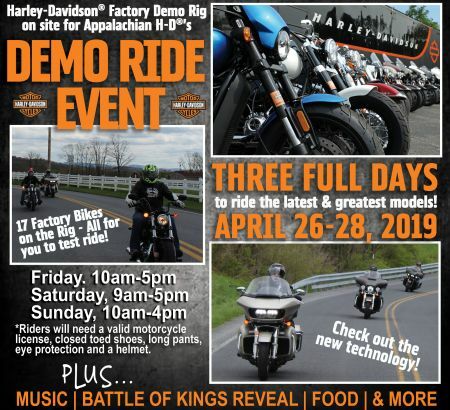 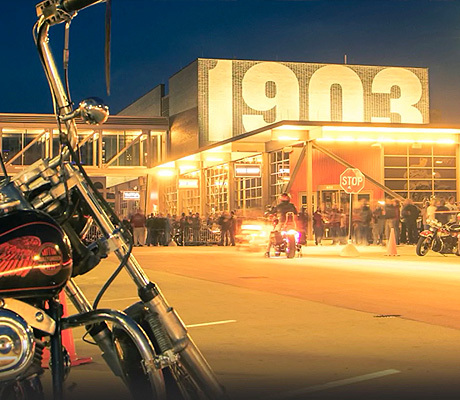 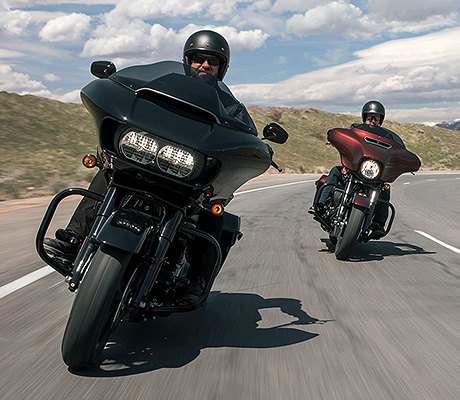 The Harley-Davidson® Factory Demo Rig is rollin' into town for a three day event, where you can ride the latest & greatest Harley-Davidson® models! 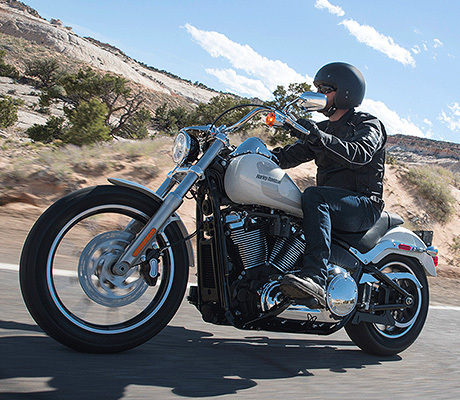 Try one or Try them ALL! 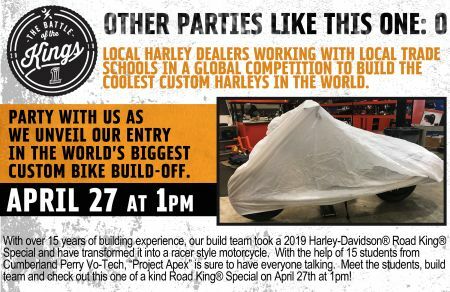 Local Harley Dealers working with Local Trade Schools in a GLOBAL competition to build the coolest custom Harley in the WORLD! 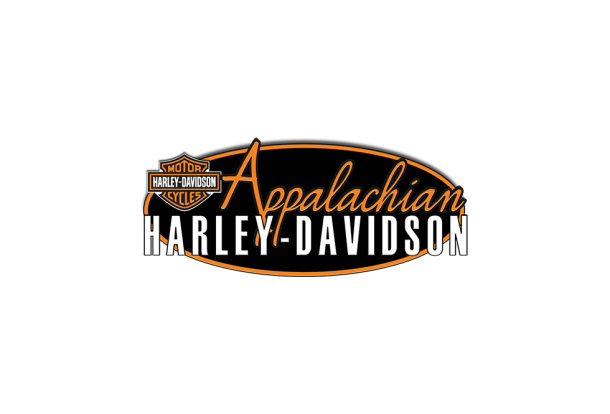 If you’re ready to get your hands on one of the most exciting motorcycle brands on the planet, then visit Appalachian Harley-Davidson® located in Mechanicsburg, PA. Our dealership has a wide selection of new Harley-Davidson bikes in stock so if you’re in Harrisburg, Enola, Gettysburg, Camp Hill, or Carlisle, PA head on over to check out the selection. 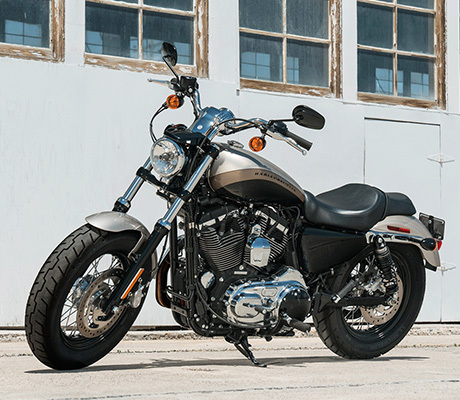 You’ll be in good hands when you visit our dealership, and our sales team is committed to providing exceptional service to all of our customers. 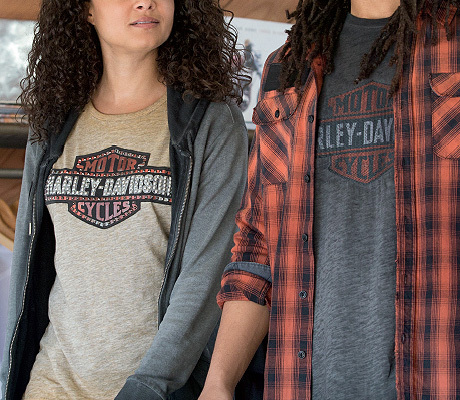 We even carry all of the merchandise you need to go along with your motorcycle so make us your one-stop-shop for all of your Harley-Davidson needs. 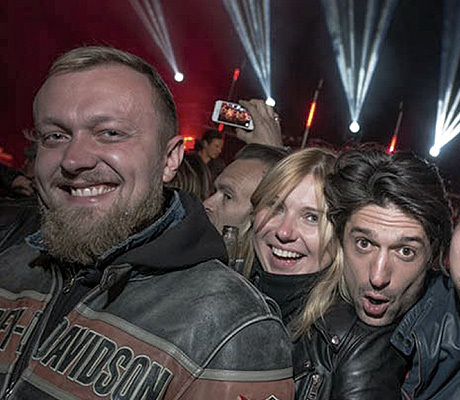 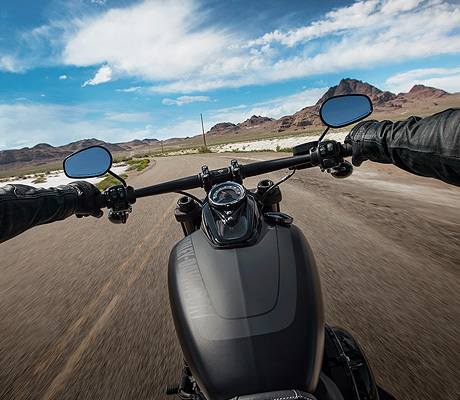 We’re ready to assist you in buying the motorcycle you’ve always wanted so visit us today!